This is not necessarily the type of subject we like to begin a new week with, but as I can tell from my inbox and Twitter feed, many of you are looking for our opinion on thismatter. Over the weekend, our buddy P3droid put out a memoir of sorts on the future of the rooting scene on Android which dove into subjects like bootloaders and how carriers plan to stop you from ever fully enjoying your device. The knowledge he shared scared the hell out of many of you, and to tell you the truth, it should. The details he presented over the weekend are ones that he’s been whispering in my ear for months now, so to see him go public with them, I can assure you that he means business. October 2010: Word began to leak out that locked bootloaders would become the norm and not just from Motorola devices; other manufacturers were jumping into the game and were probably being pushed by carriers. The motivation behind this new carrier stance was theft of service by rooted users, the return of non-defective devices due to consumer fraud, and the use of non-approved firmware on the networks. December 2010: Multiple carriers began to test a service that would allow them to identify rooted users and create a database of their MEIDs. New security features were also being baked into stock ROMs on devices such as identifying rooted phones and throttling those that were tethering illegally. March 2011: Verizon and another major carrier seem to be tracking rooted phones by seeing who has not accepted updates. 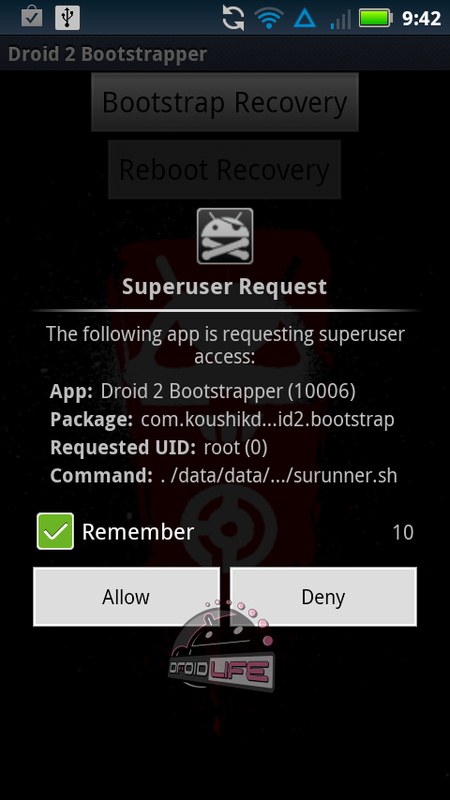 They also seem to be doing this as of right now, meaning you could be on their list if you have a rooted device. New builds for phones will include a tracking code which if removed, could potentially leave your phone lifeless without data or voice access. The overall goal here is for carriers to lock down devices tighter than ever, but then provide 1-2 dev devices each year for those of us that wish to actually enjoy our phones. If that doesn’t give you enough detail, you can read the full writeup at My Droid World. This isn’t surprising at all. Do I think we should all freak out? Not…yet. It was only a matter of time before the freedom we’ve enjoyed on Android started to fade away as all of these carriers realized that “open” isn’t necessarily good for their bottom lines. With data theft (tethering for free) more than likely climbing by the minute and bloatware contracts flooding handsets, it’s almost shocking that this didn’t happen sooner. The cell phone business hasn’t always been the most consumer-friendly, so why should we expect it to be now? If P3 is right, and we see a couple of developer devices each year that will be unlockable, we won’t be entirely S.O.L., but I’m just wondering how top of the line they’ll be. The current time frame for the Nexus S to land on another carrier besides T-Mobile is maybe in the summer which would put that device at 7-8 months old. Locked or unlocked, I don’t want a phone that’s almost at the end of its life cycle even if it is more root-friendly. I’m just scared that carriers will offer up these “unlockable” devices, but make them no where near the level of new locked down phones in terms of specs. Ugh. I should point out that we have no idea what Verizon or any of these others carriers plan to do with the information they are collecting about rooted users, but you can bet that we’ll know before too long. With 1-year upgrades disappearing, new 4G LTE networks and amazing high speeds taking over, and manufacturers like HTC seemingly giving into to carrier lock-down demands, it’s time to get real picky when it comes to your next phone purchase.